I'm busy this week dashing to and fro, so this post will be short and sweet. Which is perfect because these biscuits were exactly the same: quick to throw together, and just sweet enough to make me feel that I was eating something a little bit special. - This week Lindsay from A Little Something...Sweet chose the recipes for the Tuesdays With Dorie members to bake. If you'd have a couple of minutes available for baking, and would like to try these biscuits, you can find the recipe on her post. - I made 1/4 recipe and ended up with 3 biscuits. 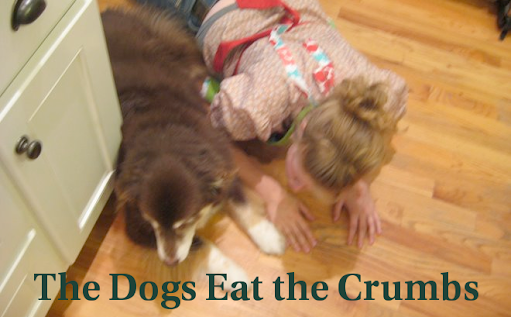 - The recipe honestly could not be easier. 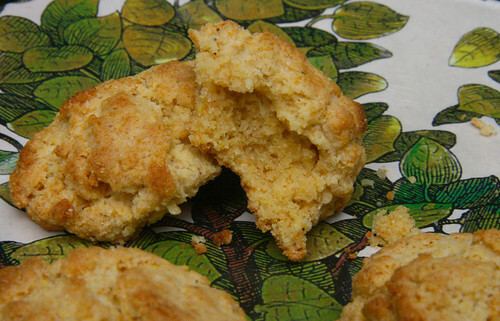 The biscuits have both flour and cornmeal, and maple syrup provides the sole sweetener. - I followed a tip from Caitlin of Engineerbaker and grated frozen butter into my dough and it worked perfectly - the butter gets mixed into the flour without working the dough too much. 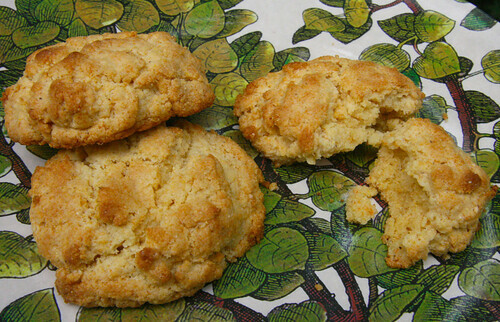 The biscuits were lovely and moist inside but a little bit crumbly. We liked the crispy outside edges and the little crunch of the cornmeal. The maple flavor added wonderful flavor. I really think I might need to make these again because it seems they were almost universally loved yet they turned out just ok for me. Yours look lovely! Glad you were able to sneak in a quick post despite your crazy schedule. Yours look really light and fluffy. I liked the flavor that the maple added, but mine were dry because I baked them too long. Yours look great. I'll have to try the frozen butter next time. Thanks for baking along with me. They look great...we liked these as well and I think I might actually put them into regular rotation as the guys were eating them hand over fist. Crumbly but delicious. I do wnat to try them again and see if they can be moister. Maybe like Leslie - add too much syrup which equaled moist biscuits.